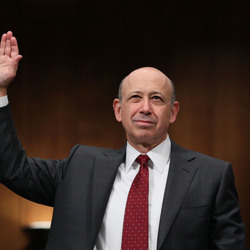 How much is Goldman Sachs Worth? 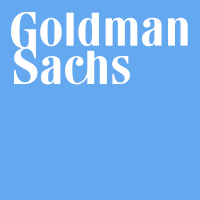 Goldman Sachs net worth: Goldman Sachs is an American multinational investment banking company that has a net worth of $64 billion. Goldman Sachs has launched the careers of more than one high level economic official, including former Secretary of the Treasury, Robert Rubin, and Mario Draghi, the Governor of the European Central Bank. Marcus Goldman, a businessman originally from Germany, founded the company in the late 1860s. After hiring his son-in-law, Samuel Sachs, and then his son, and another son-in-law, the company was renamed Goldman Sachs & Company. 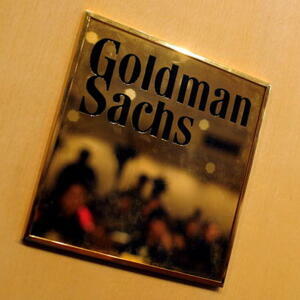 The company is now known as The Goldman Sachs Group, Inc. The company built its success on commercial paper. Commercial paper is an unsecured promissory note that matures in less than a year. These papers became instrumental in the launch of multiple businesses. Goldman Sachs joined the New York Stock Exchange in the late 1890s, helped establish the first IPO, and was flying high until the stock market crash of 1929. In an effort to get themselves back on its feet, Goldman Sachs shifted its focus to investment banking and, except for a major issue surrounding the bankruptcy of the Penn Central Transportation Company in 1970, the company appeared to be on solid ground. The 80s and 90s saw ups and downs for the company, including opening additional offices around the world, and their involvement in the Mexican financial crisis in 1994. They went public in 1999. During the early months of the housing crisis, Goldman Sachs was the only company to turn a profit, and was held up as an example of how to handle the crisis. However, their triumph was relatively short-lived, and they have since closed some of their divisions, including their largest hedge fund, in an effort to cut losses. While their business practices have occasionally come under fire, they have been consistently praised for their philanthropic work, and their support of small business. 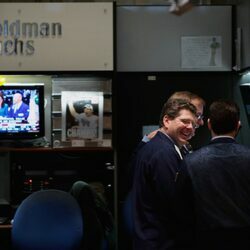 Goldman Sachs currently employs just over 31,000 people around the world.